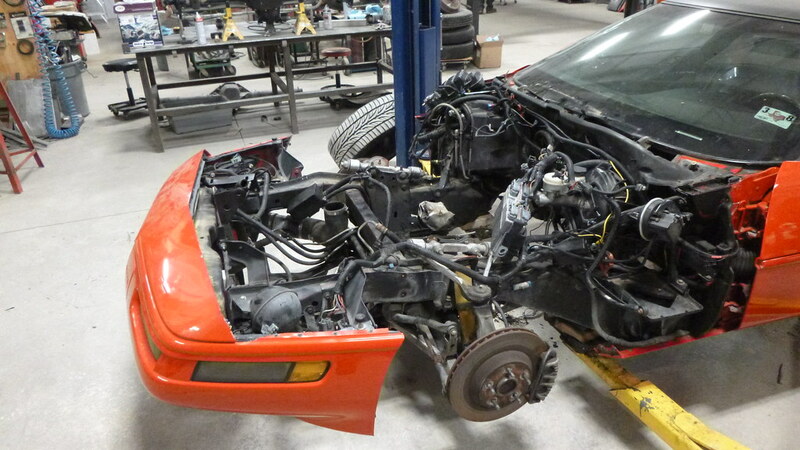 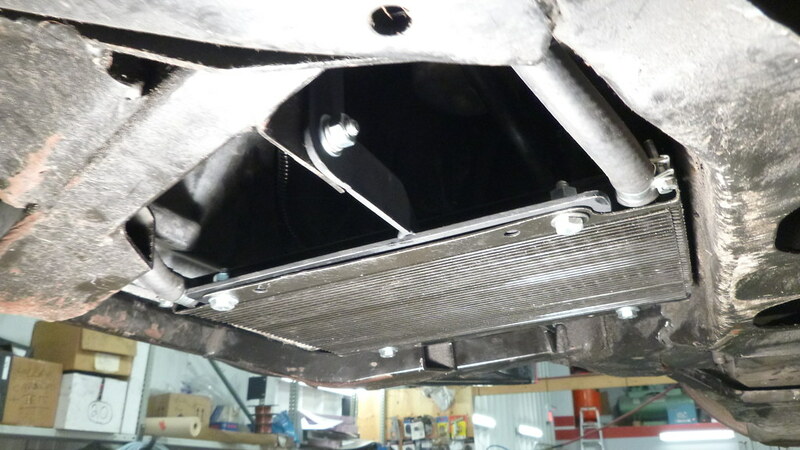 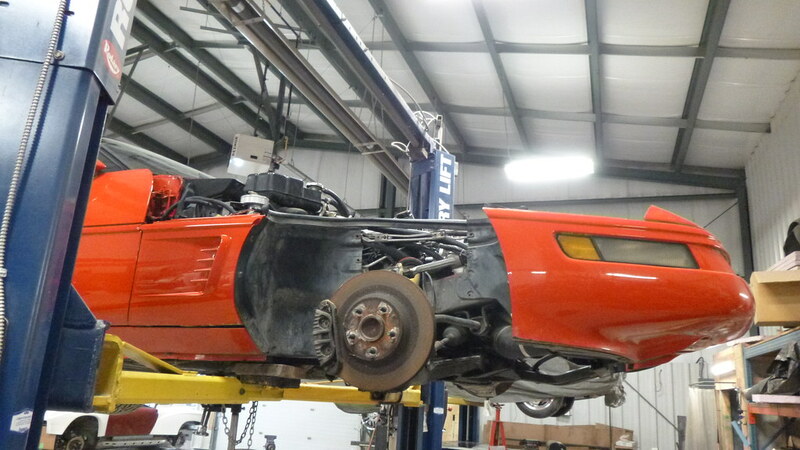 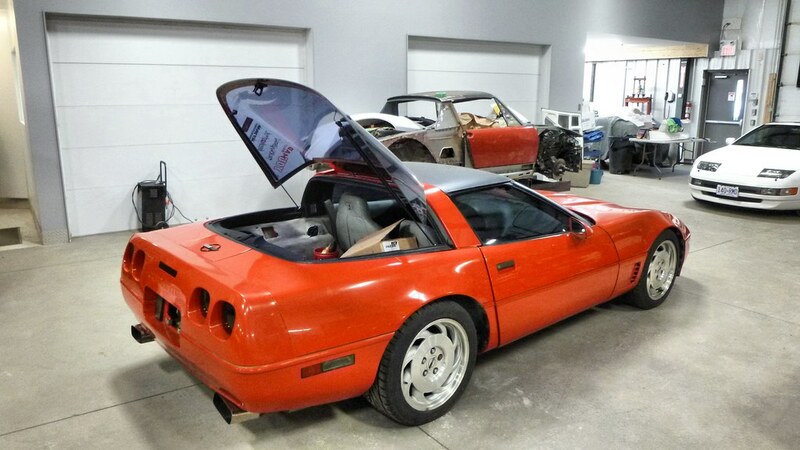 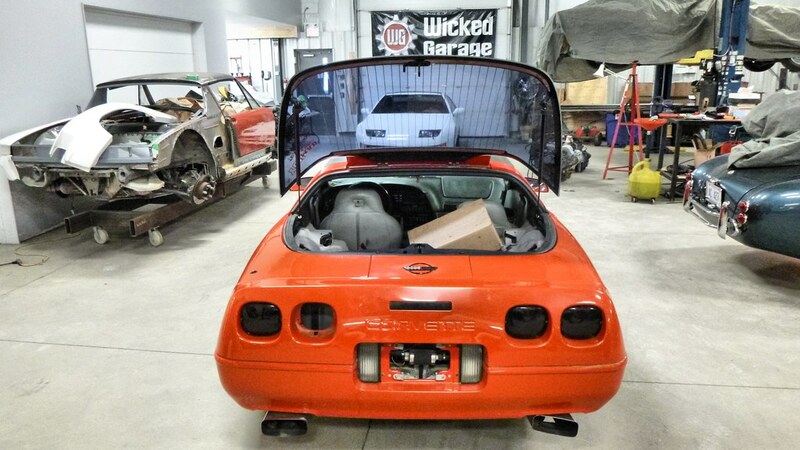 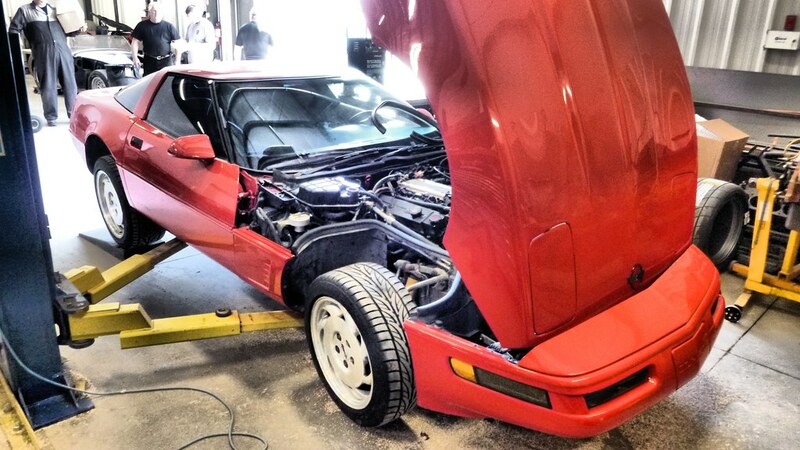 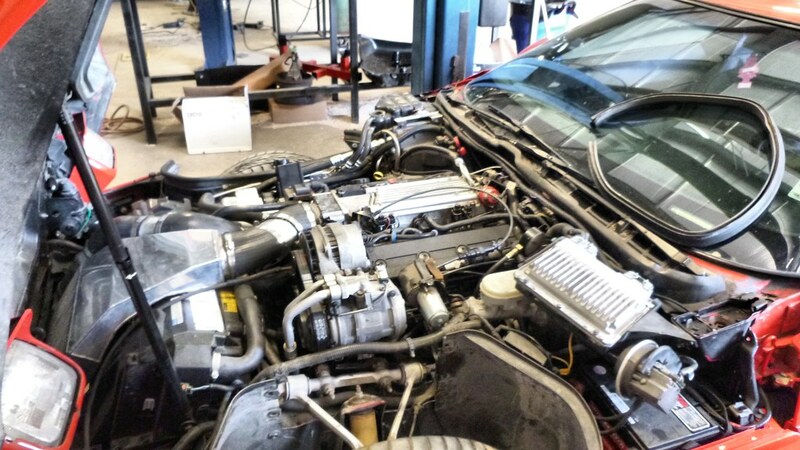 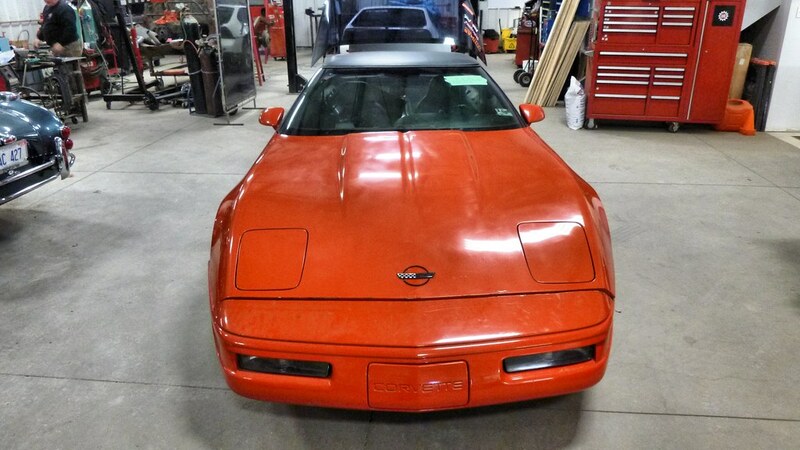 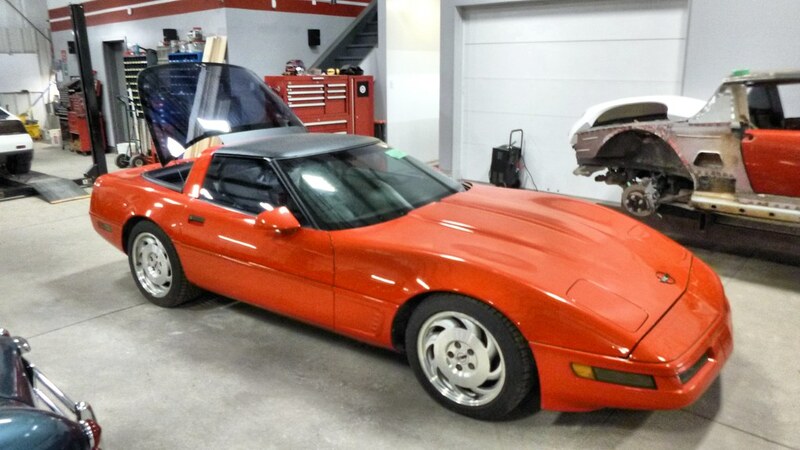 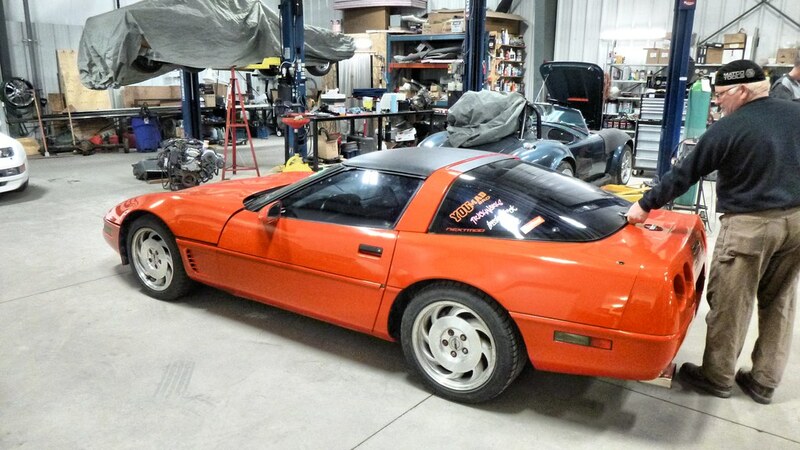 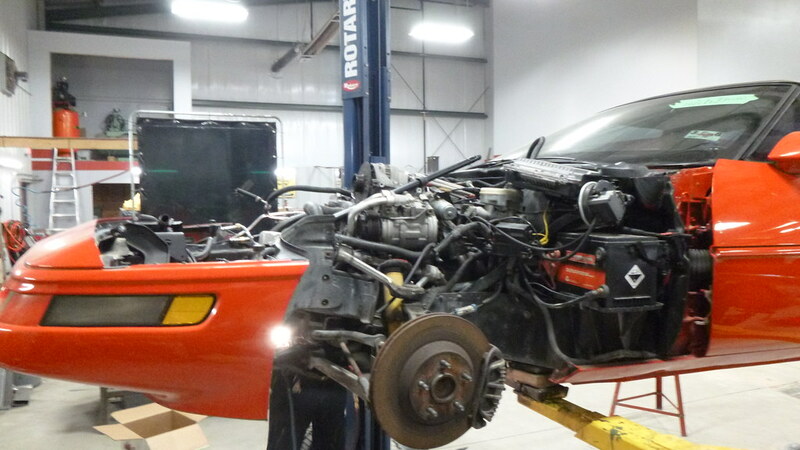 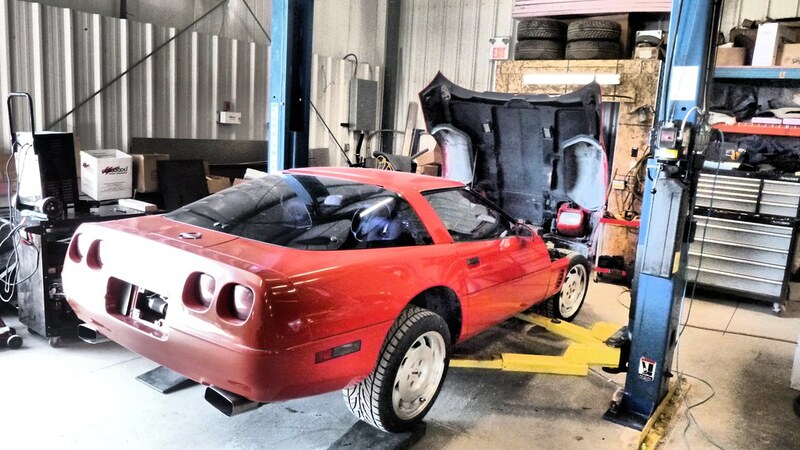 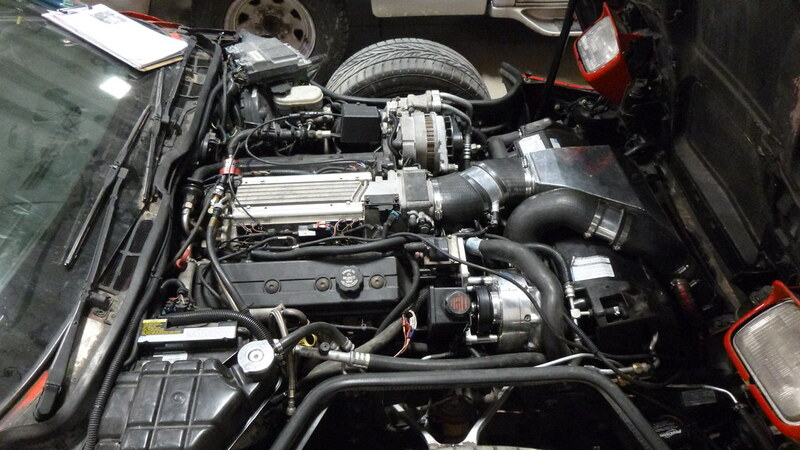 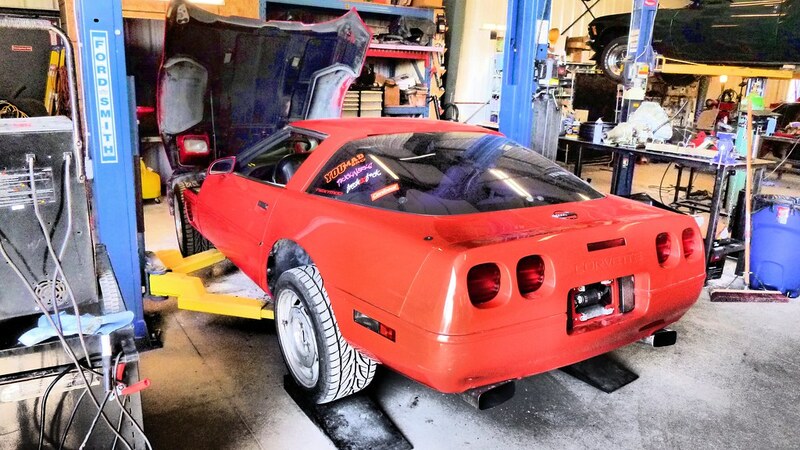 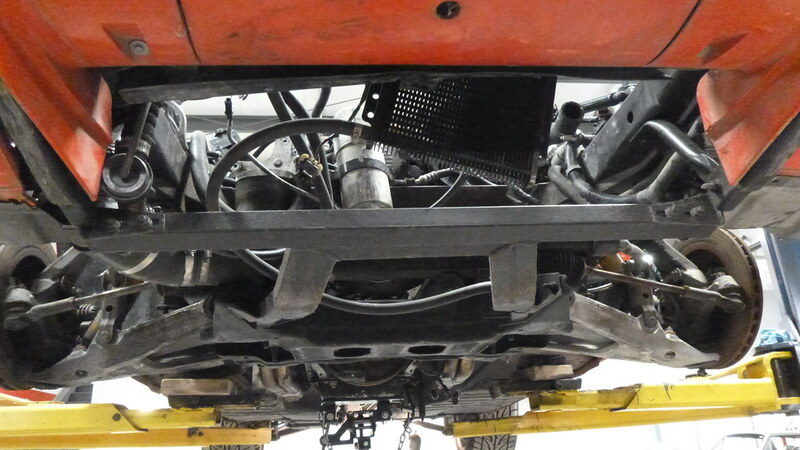 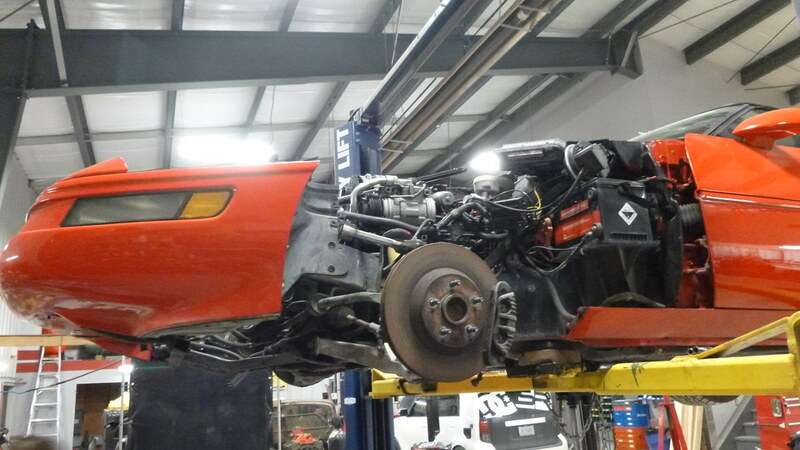 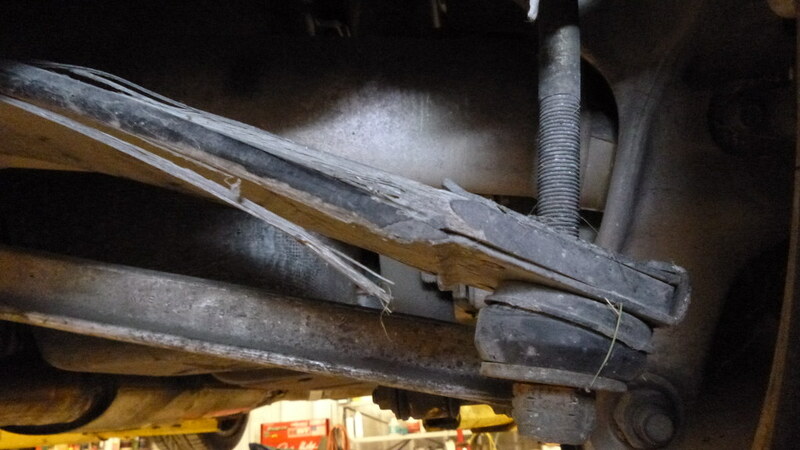 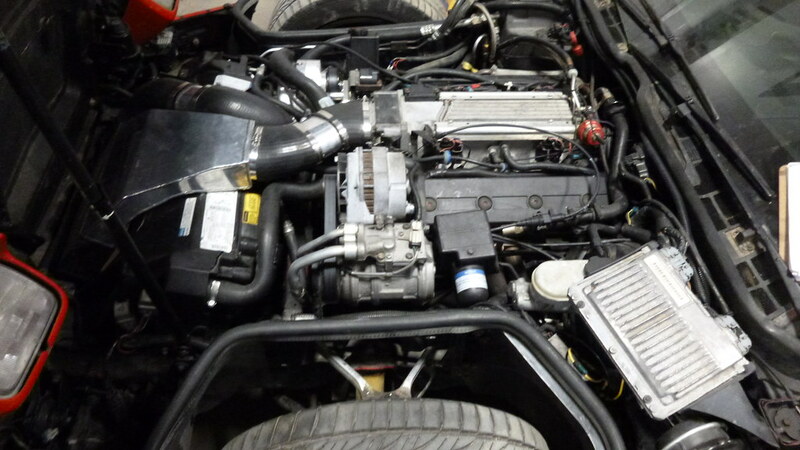 This 1990 Vette came in with some engine issues and unfortunately there was quite a bit of gasoline in the oil pan. 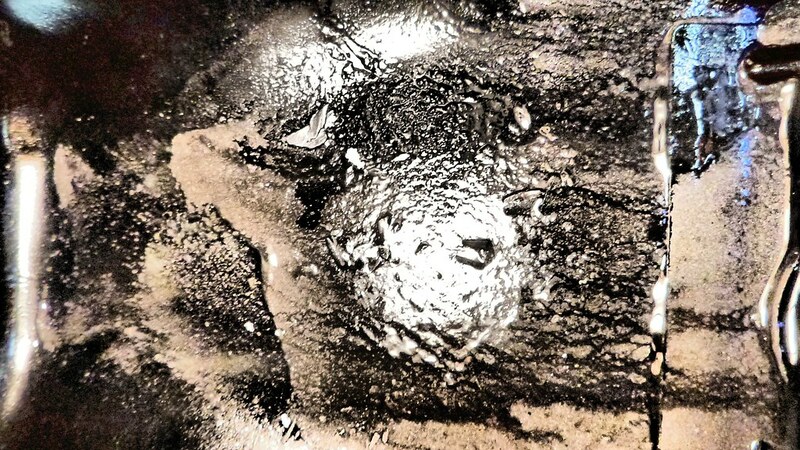 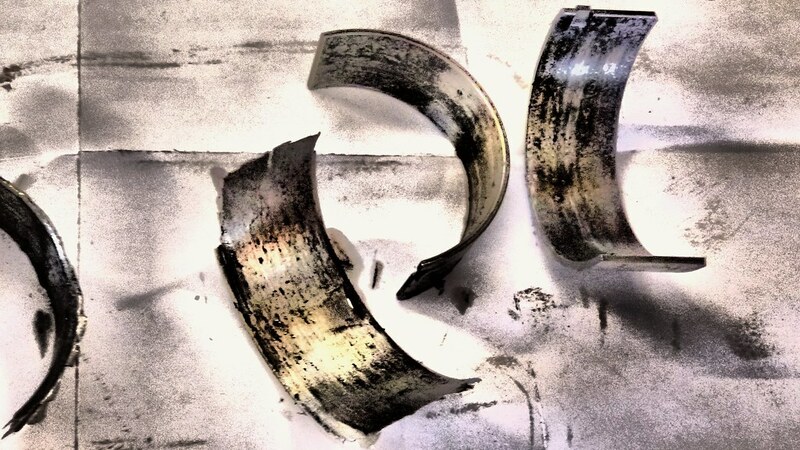 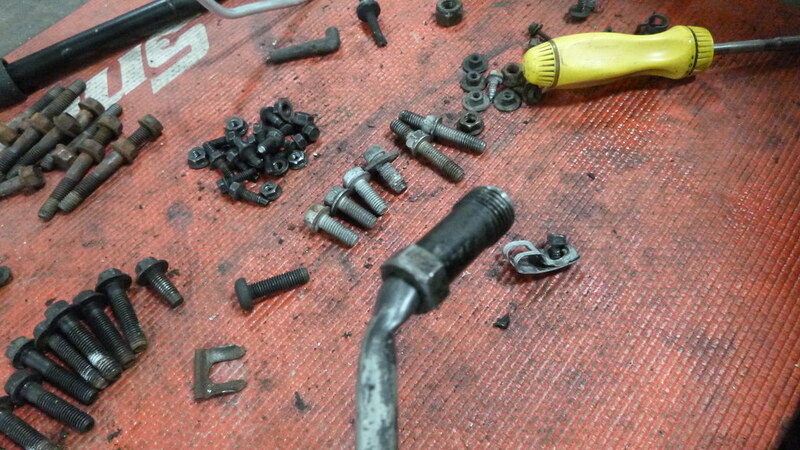 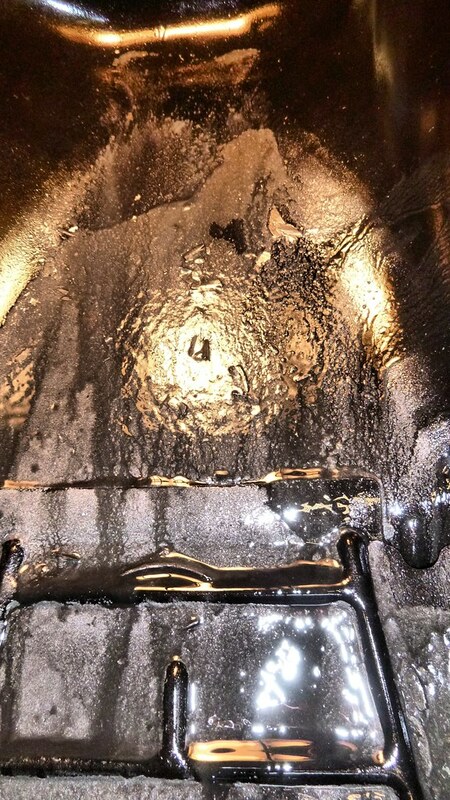 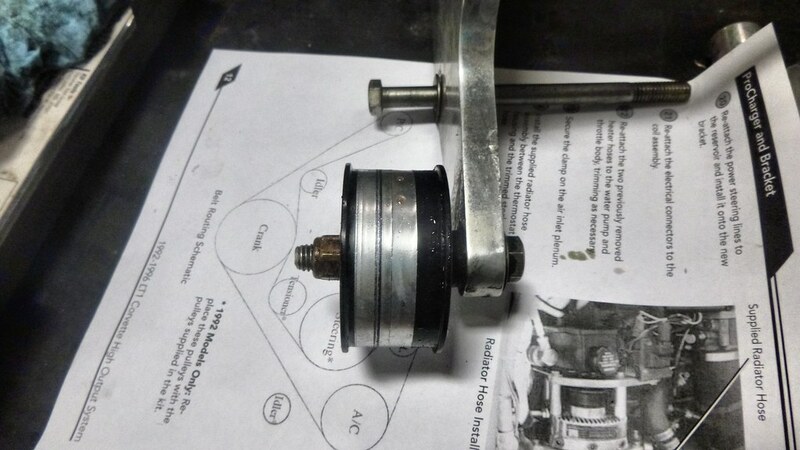 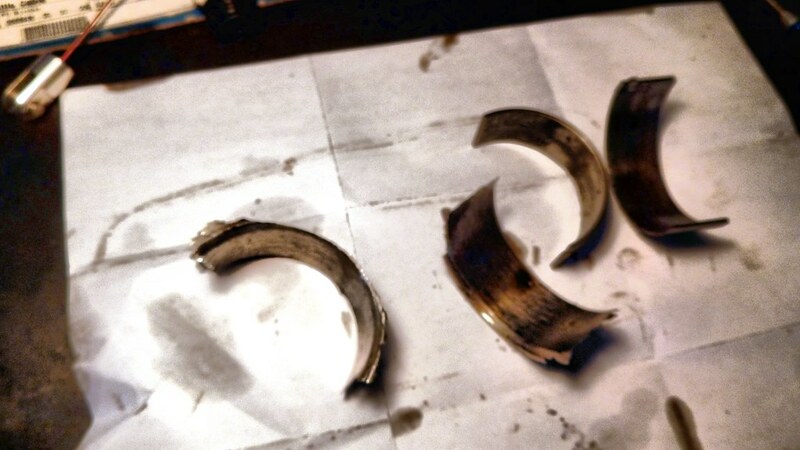 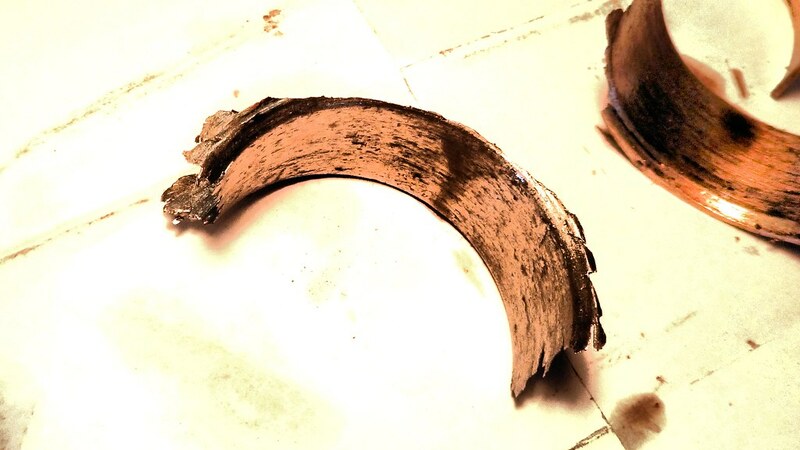 We also found quite a few large metal fragments in the oil pan and spun off a few main caps and saw wear on the bearings. 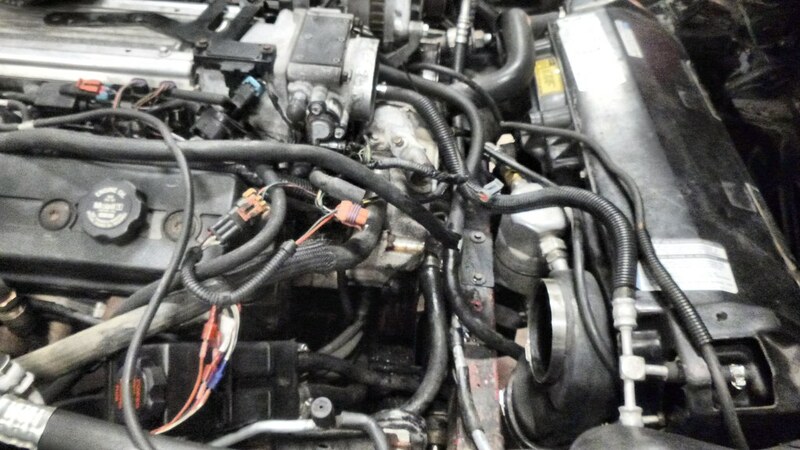 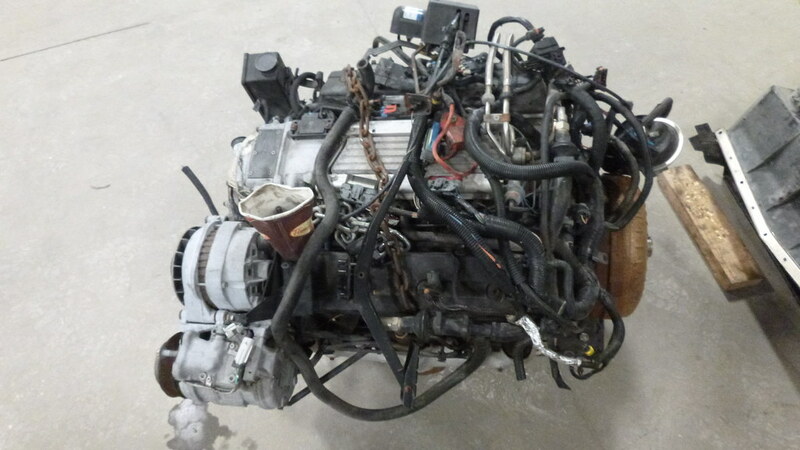 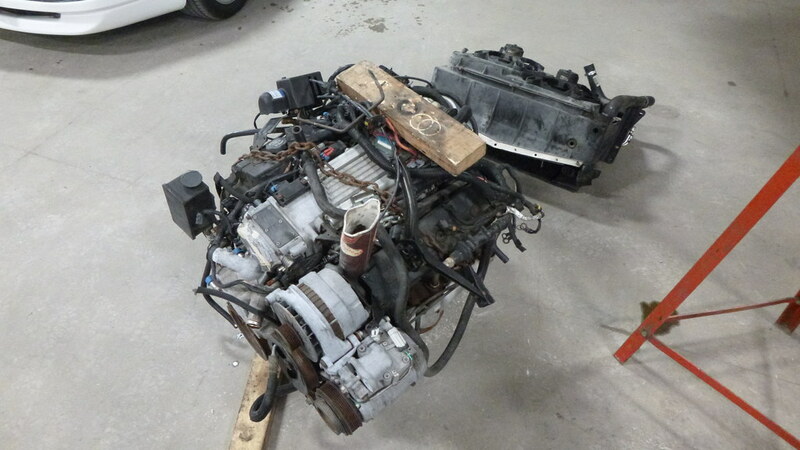 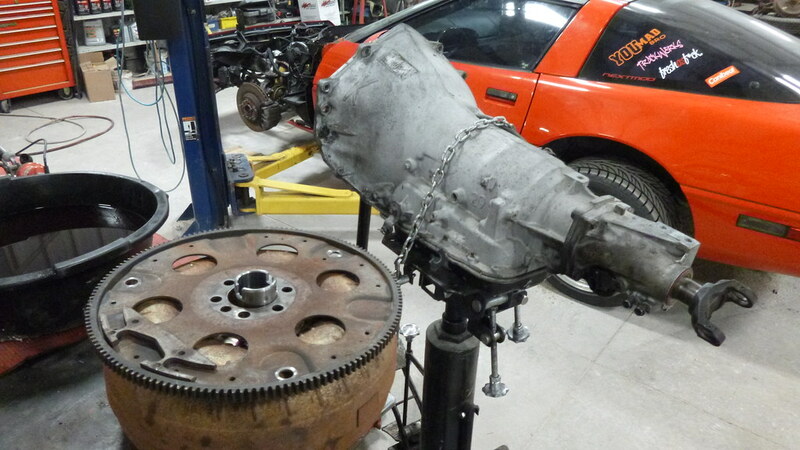 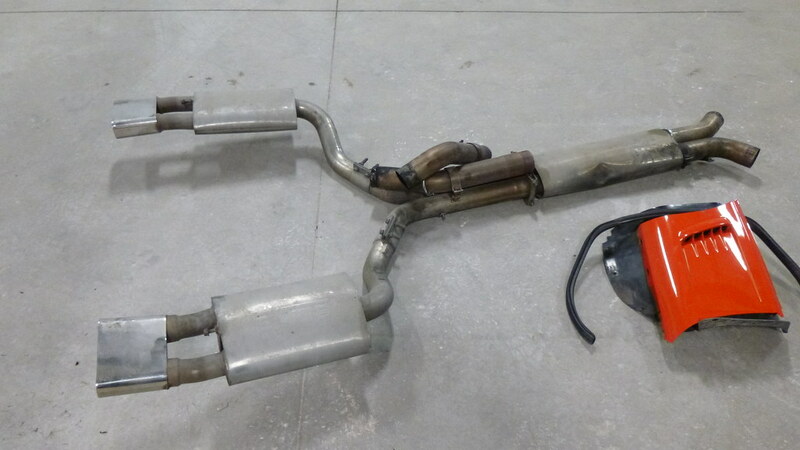 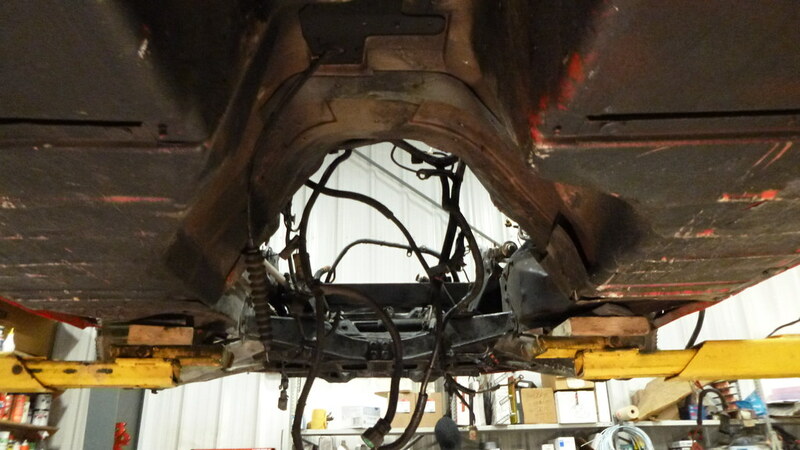 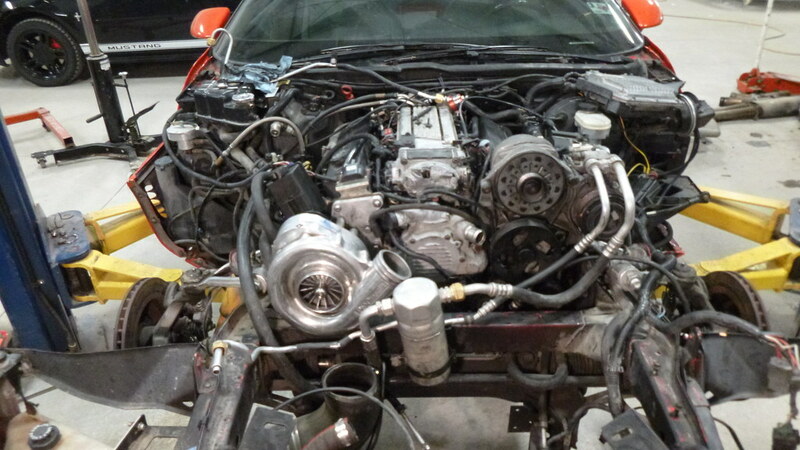 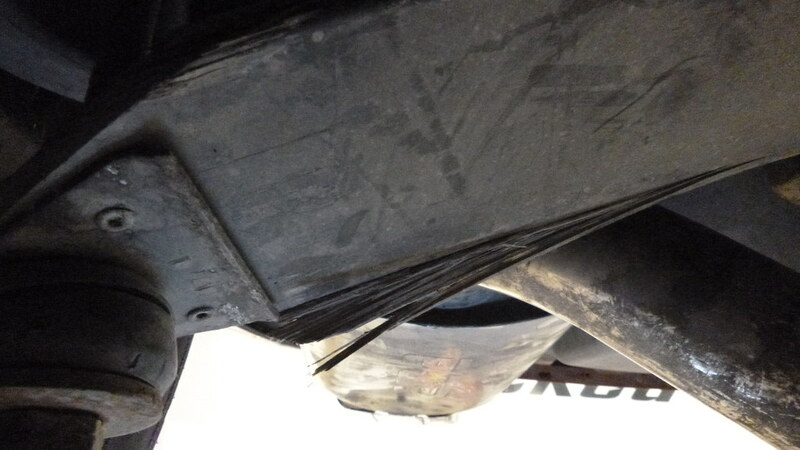 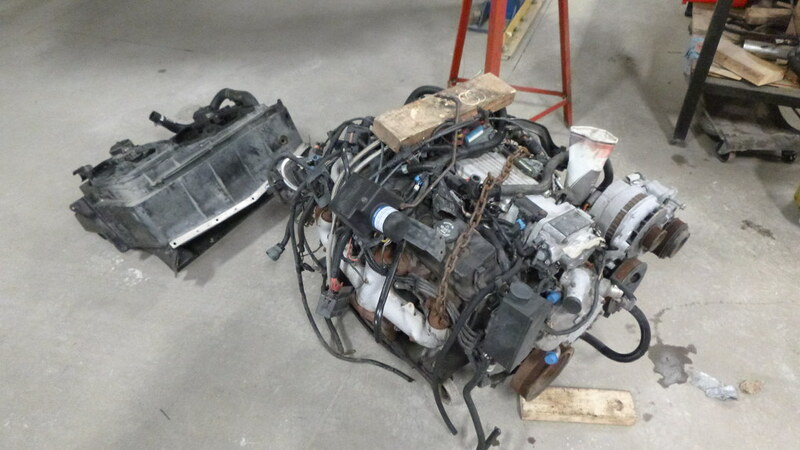 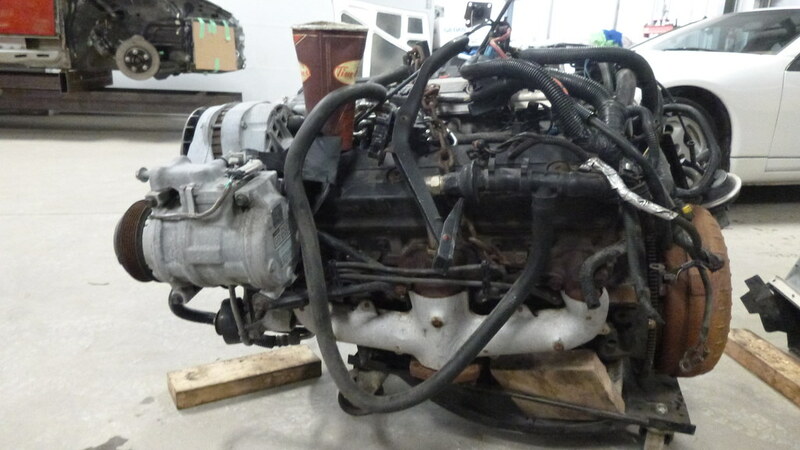 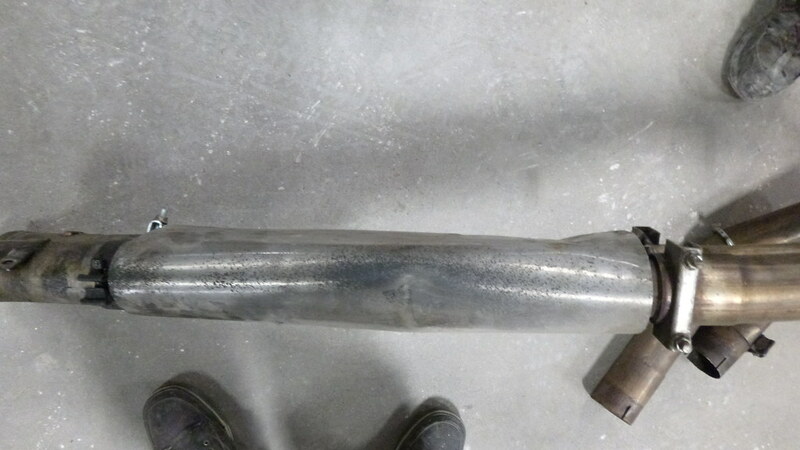 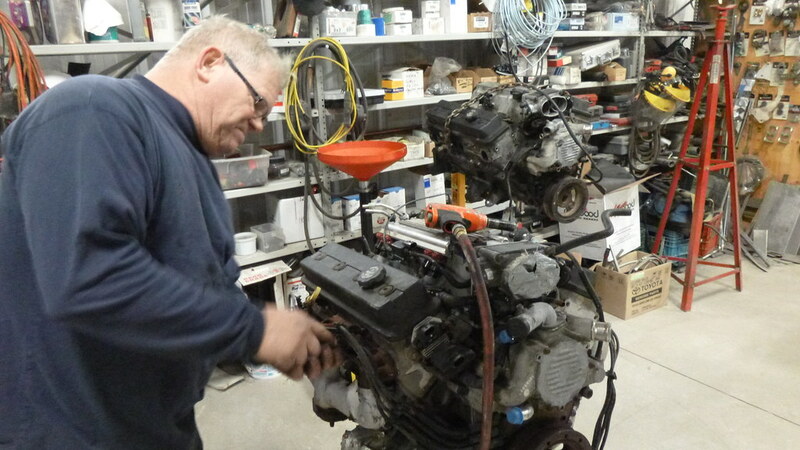 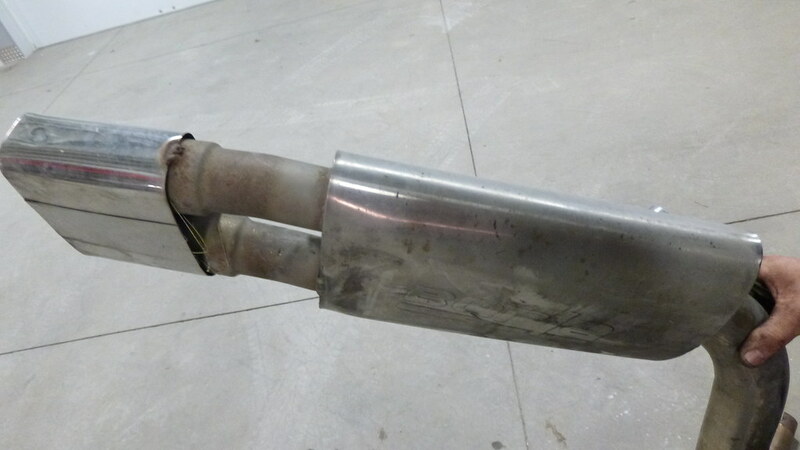 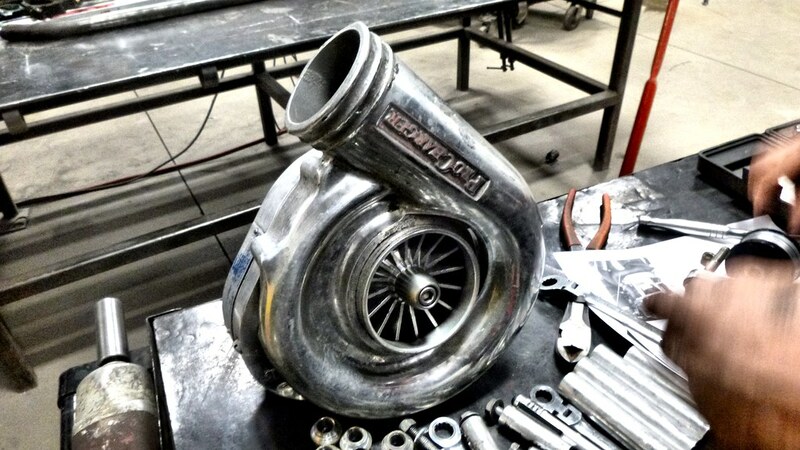 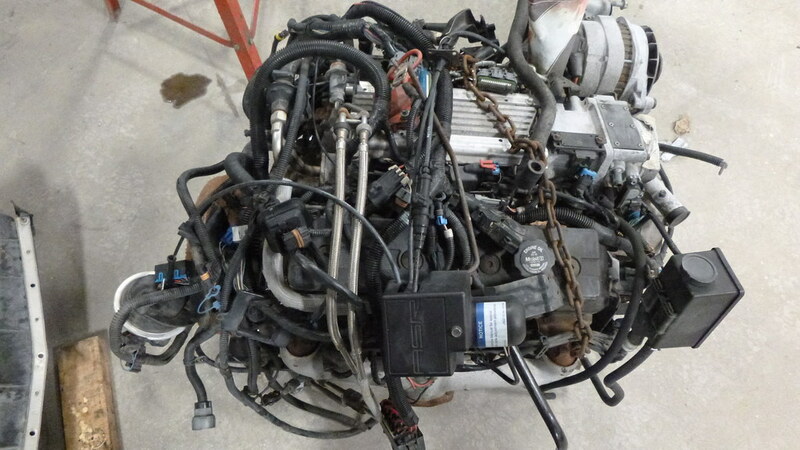 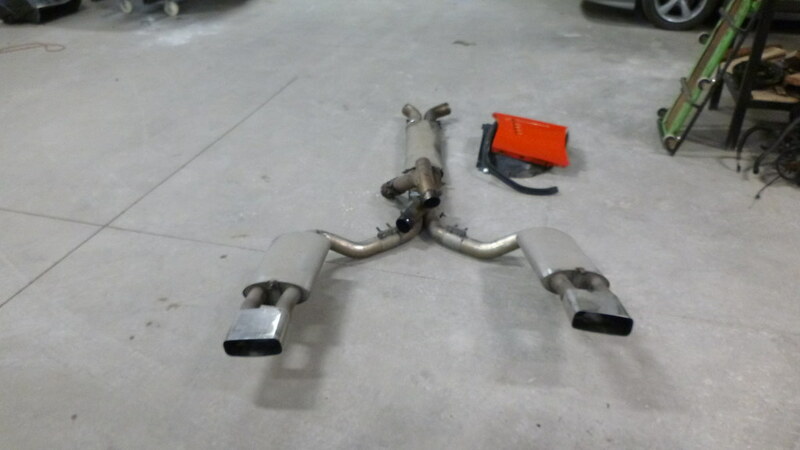 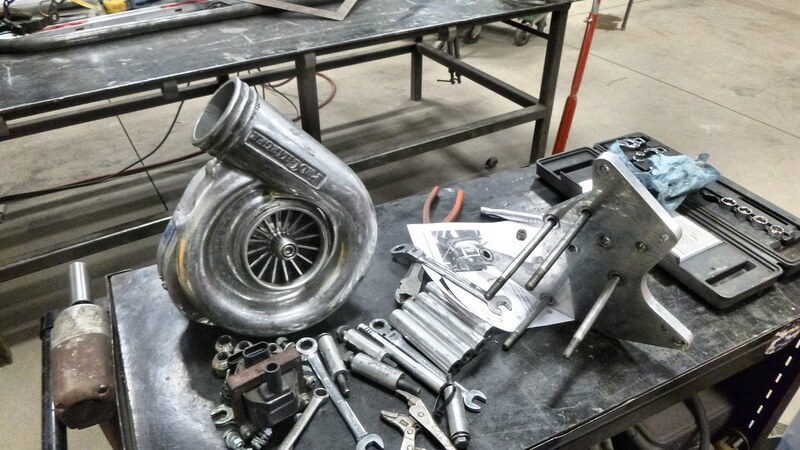 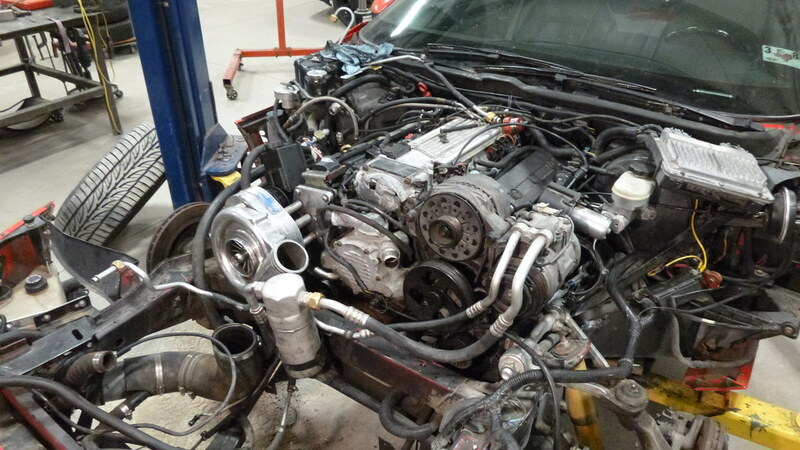 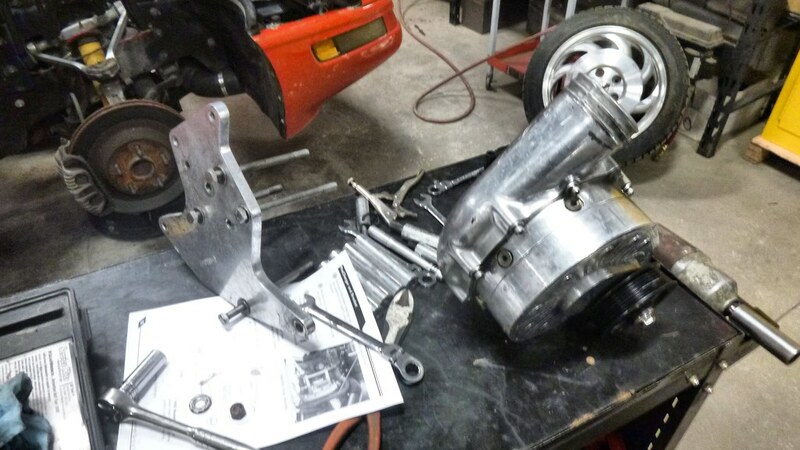 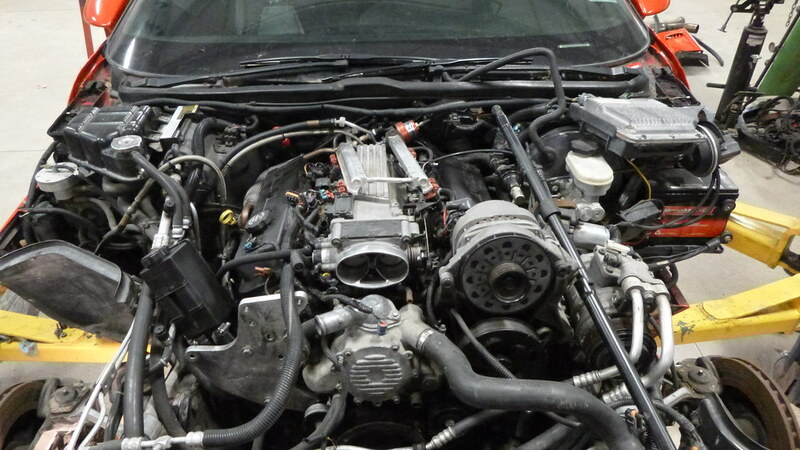 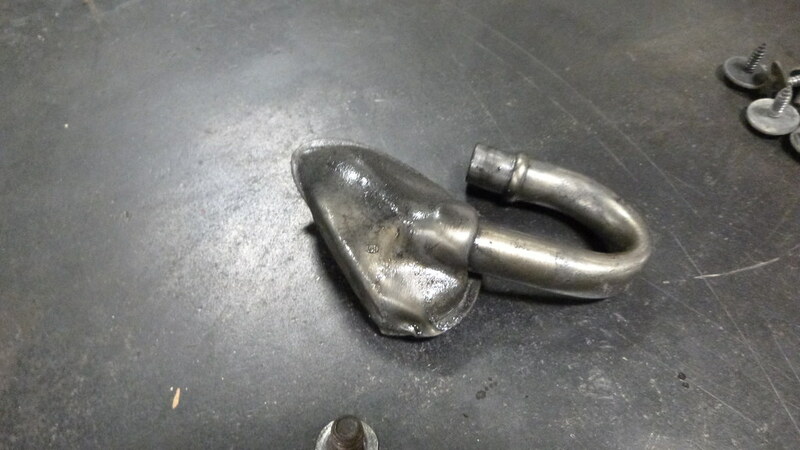 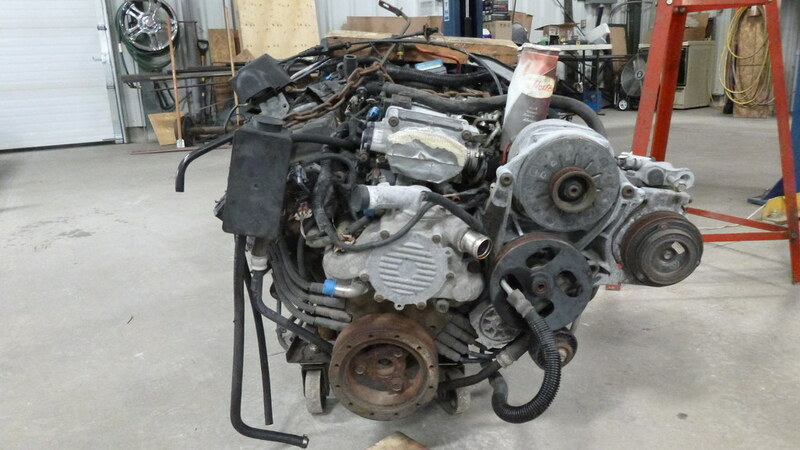 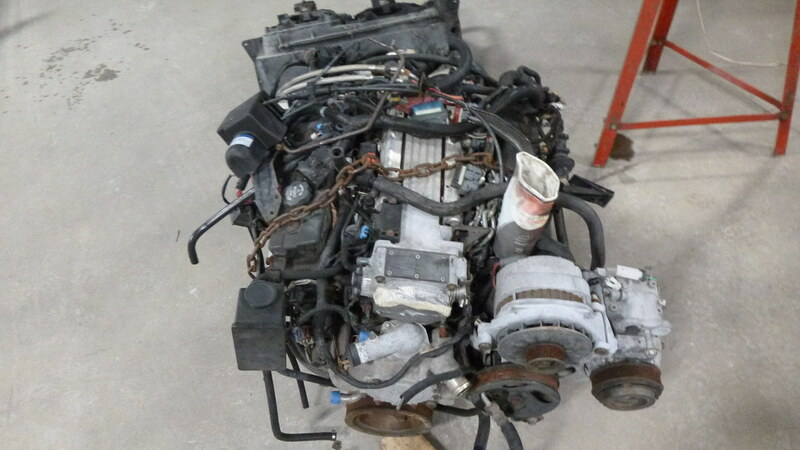 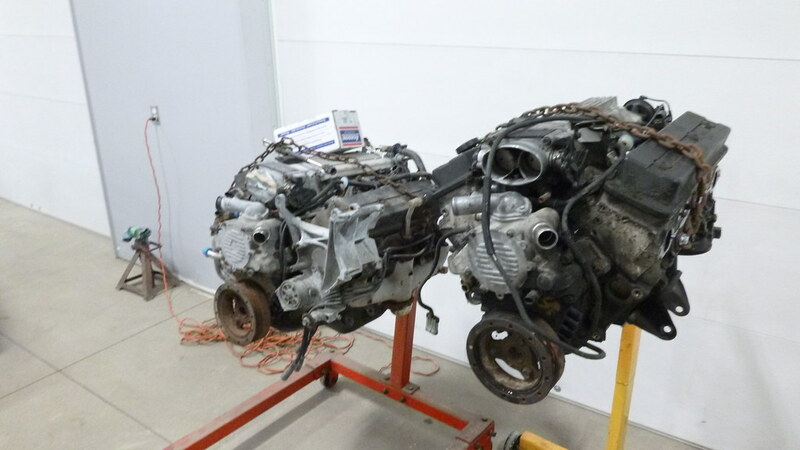 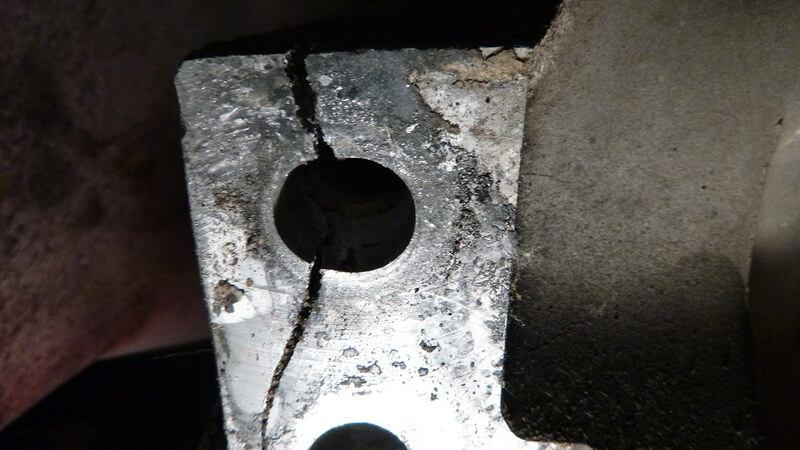 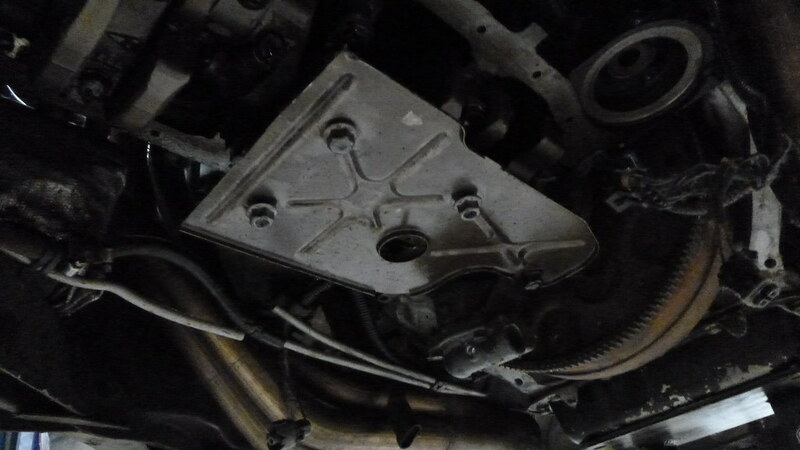 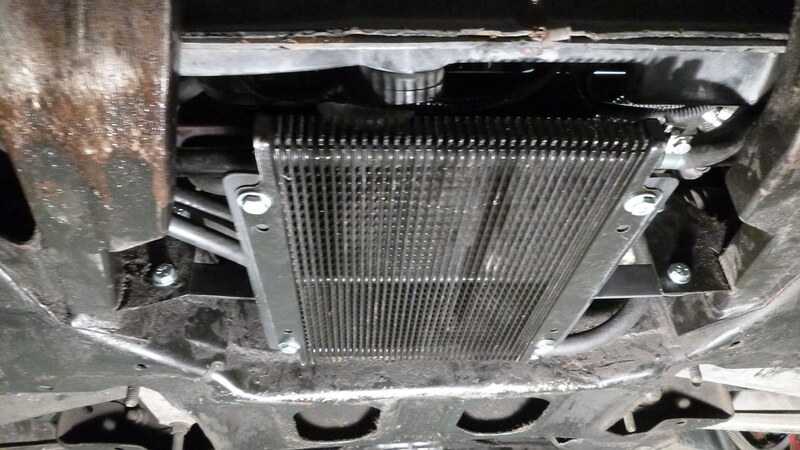 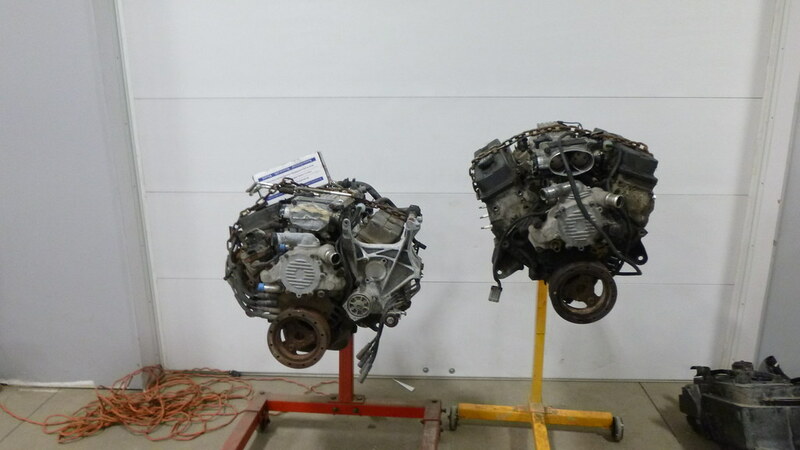 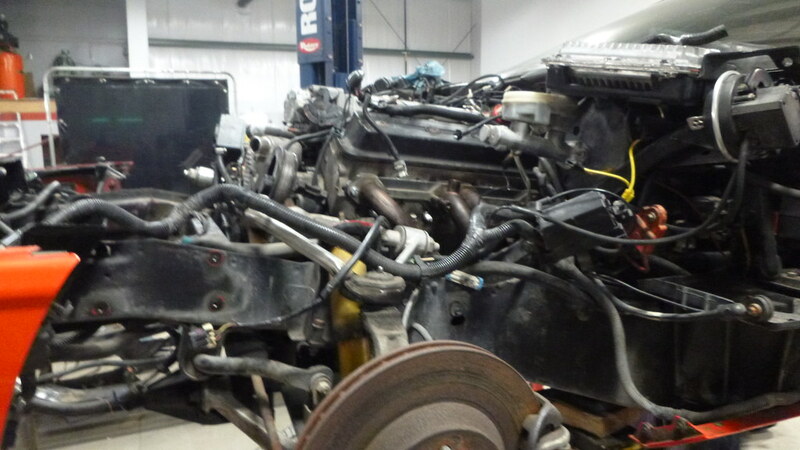 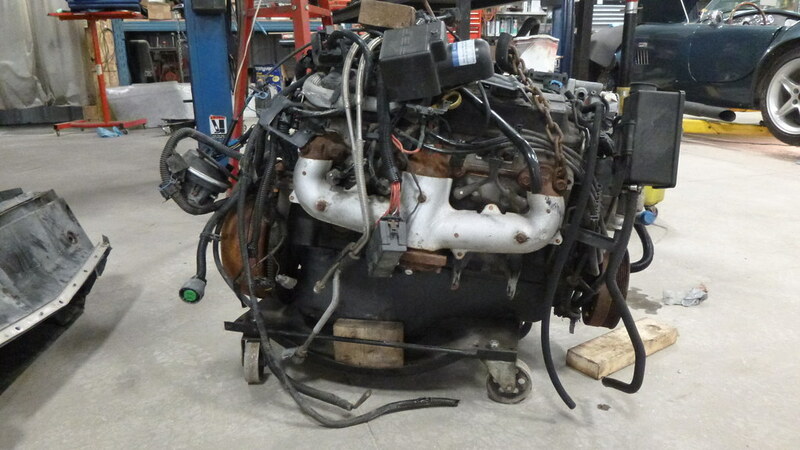 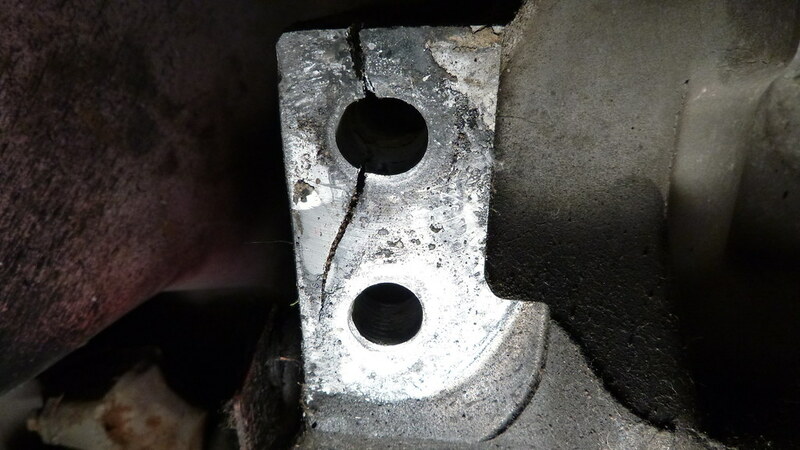 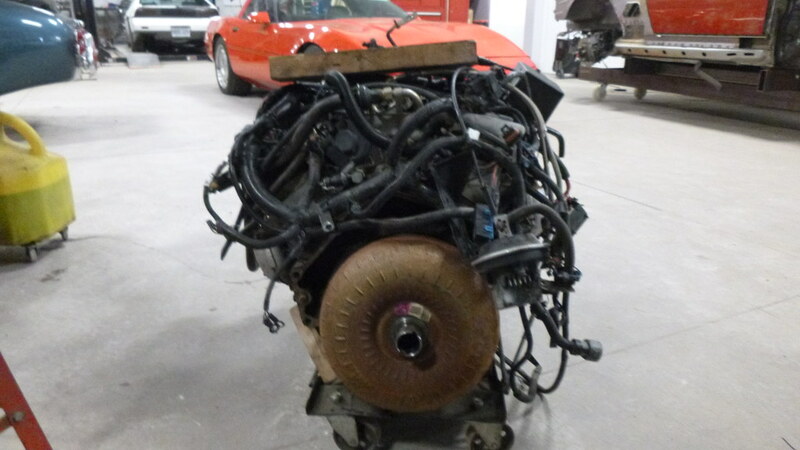 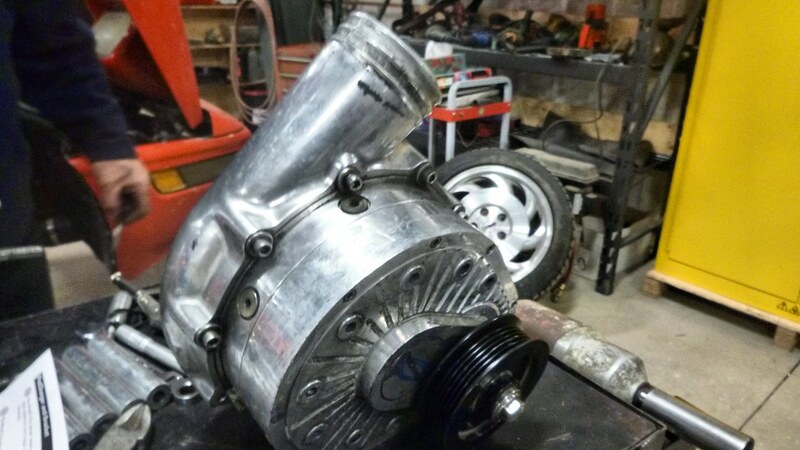 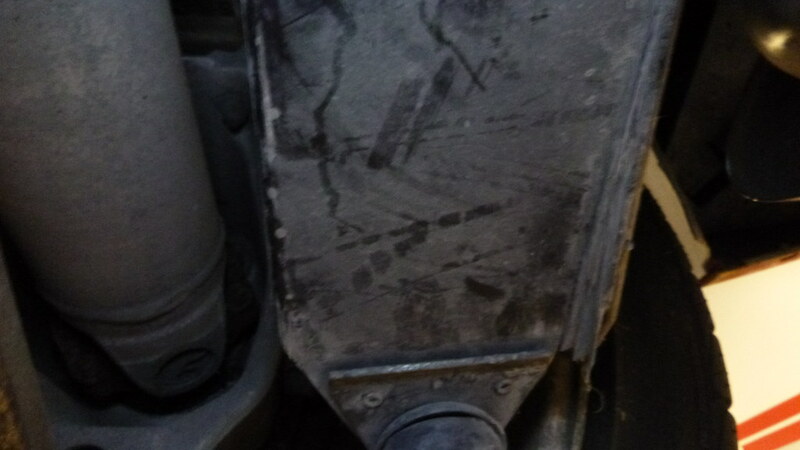 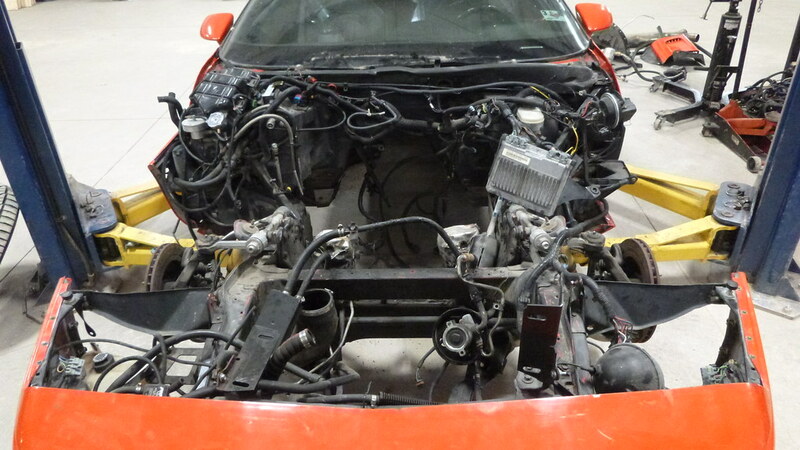 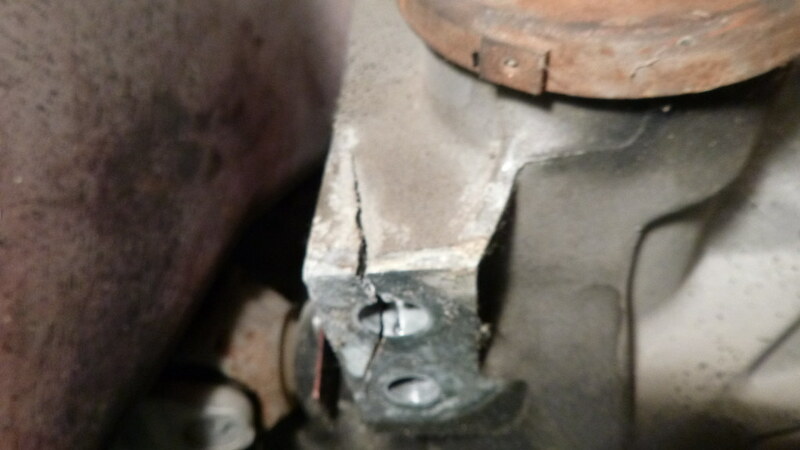 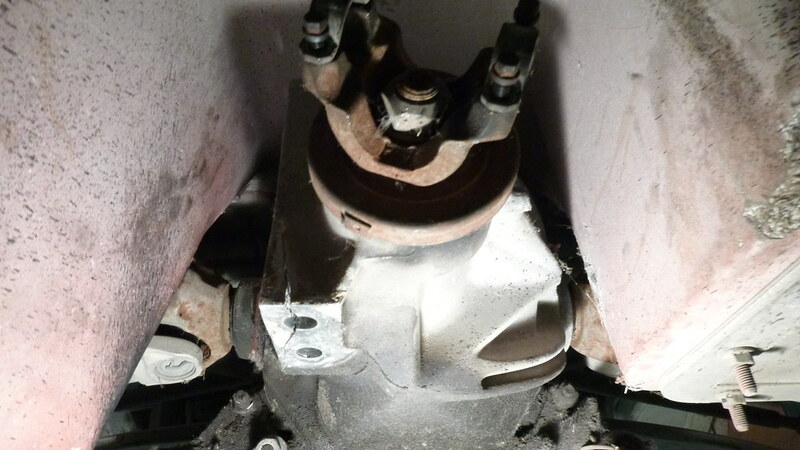 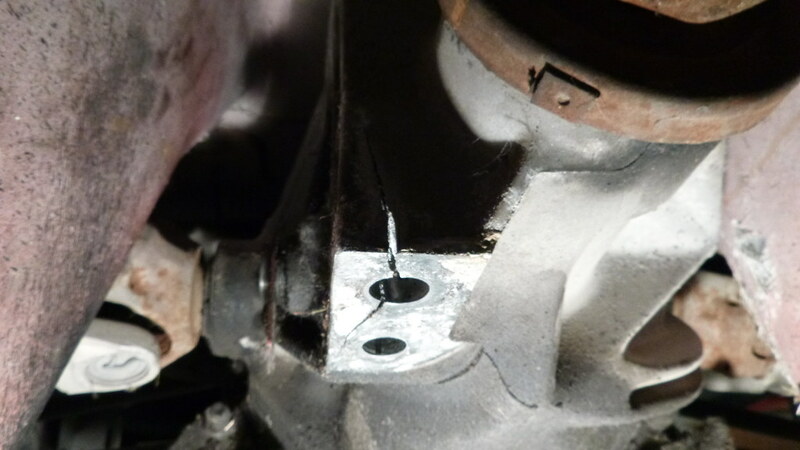 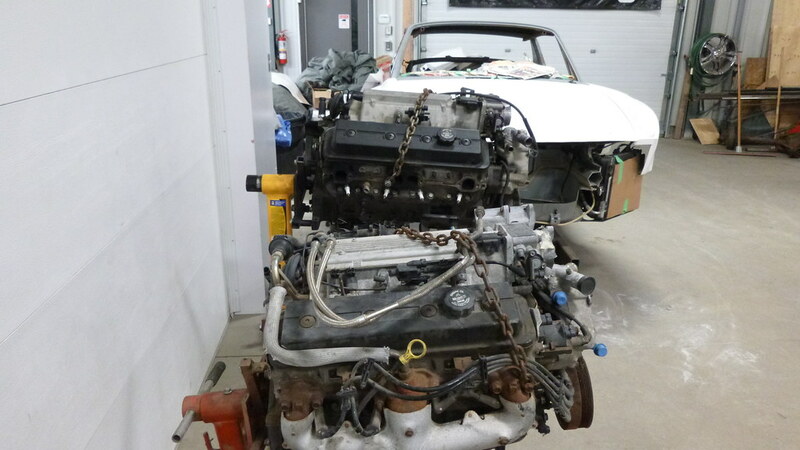 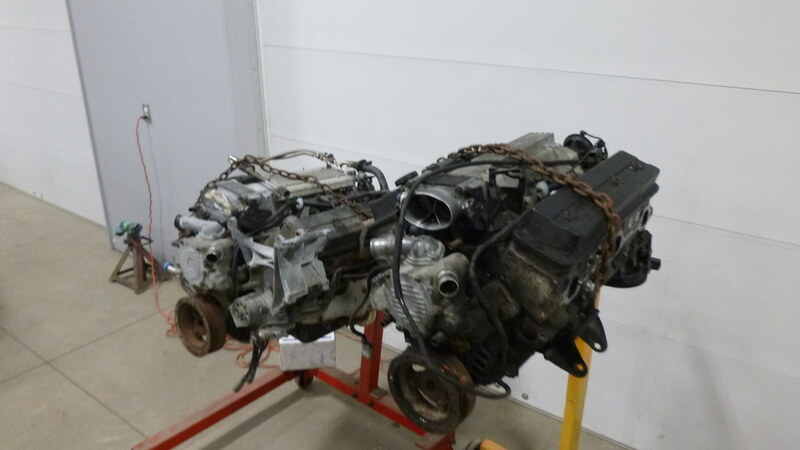 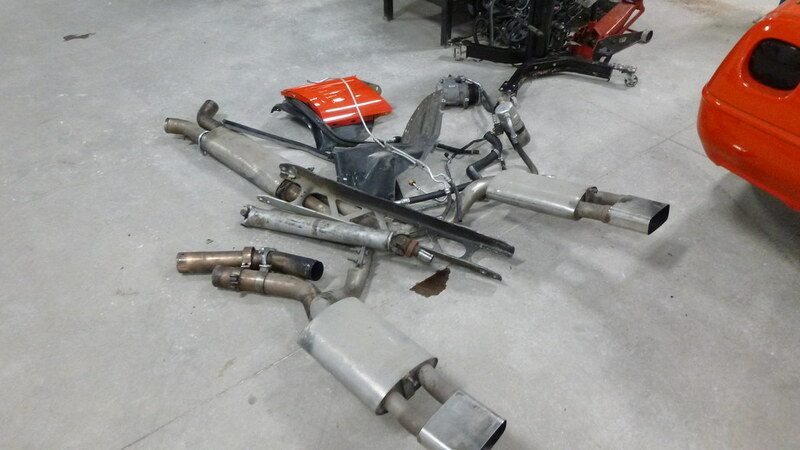 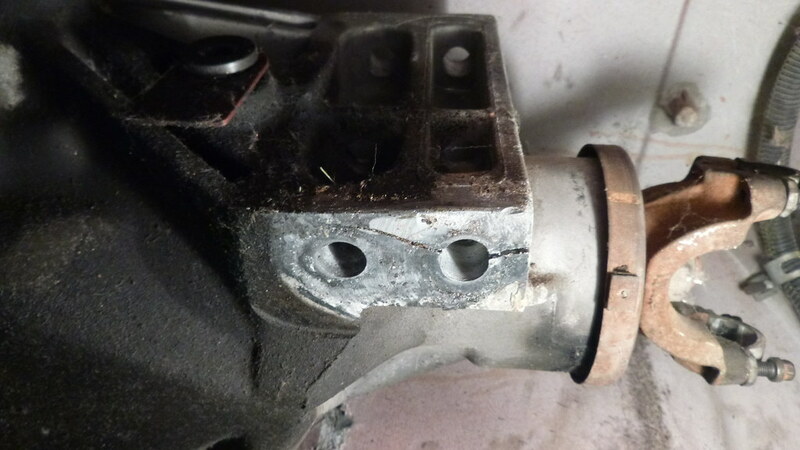 Our guess is the Pro-charger on it may have wore this old 350 engine out. 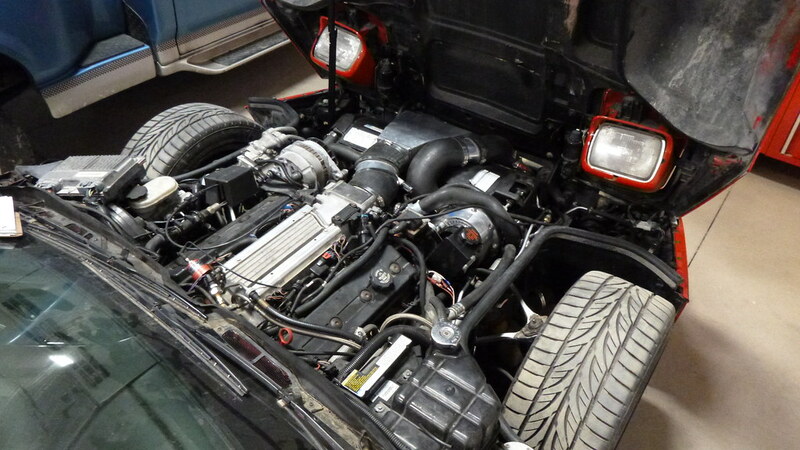 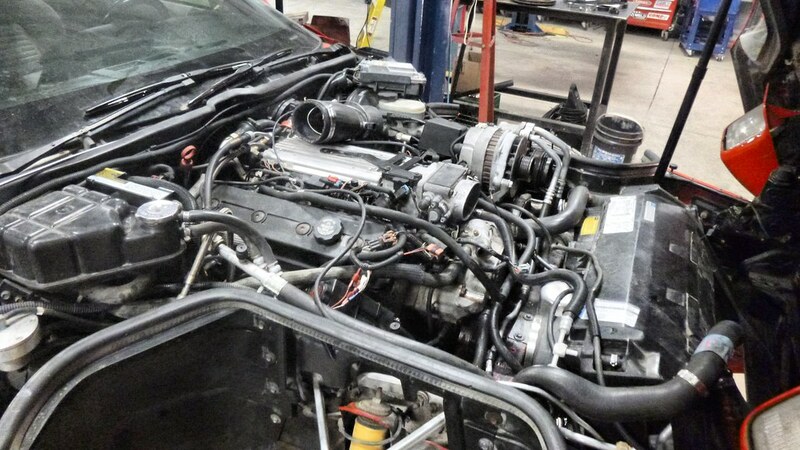 When we got it back into the WG it came in with an extra Corvette motor so we swapped it out and got everything back together including the Pro-Charger.